SOLO DUO is a complex and playful musical system at the forefront of contemporary improvised, experimental and electronic music: One clarinet player (Christian Müller) and one musical entity (The Cone), equipped with an extensive archive of analogue synthesizer samples, algorithmic composition codes as well as sensors, moods and interdependencies. 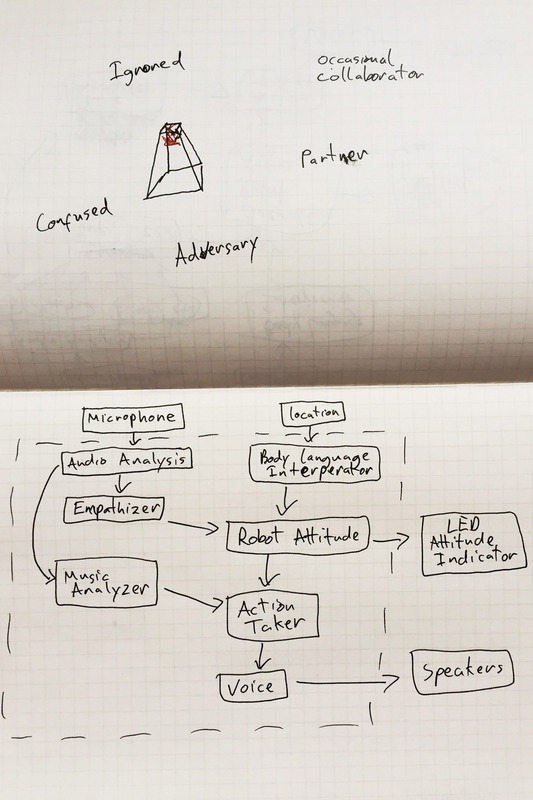 The music robot is programmed to be non-programmatic: it can react to the acoustic play, but it might as well do something entirely different, based on how it feels and on it’s own plan, the hidden agenda. SOLO DUO is a visually intriguing and musically piece about taking risks, focusing on creativity, creation and productive glitches in the realm of code, composition and collaboration. 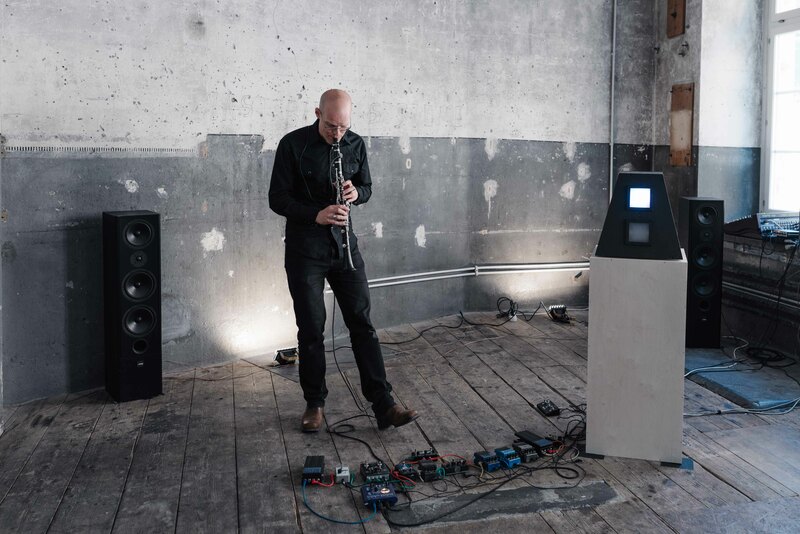 SOLO DUO furthers Christian’s long-standing interest in challenging the boundaries of electroacoustic music and the use of unstable electronic systems. 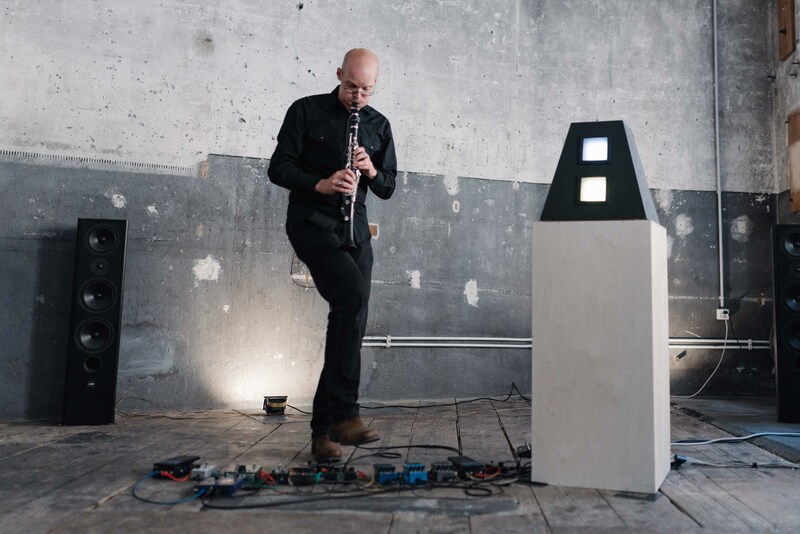 The piece builds on two decades of experience in the fields of improvisation, conceptual music, composition and work with electronic instruments. It’s at the same time rough and highly complex. 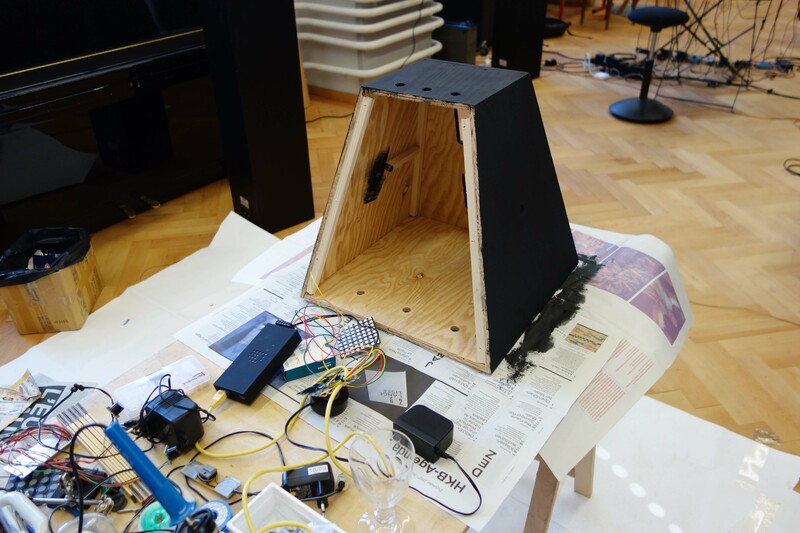 It’s not an shiny high-tech and AI-system, but a musical experiment and an artistic research project questioning artificial creativity. A clarinet player on stage. Next to him a pylon, a music robot. The musician starts to play. 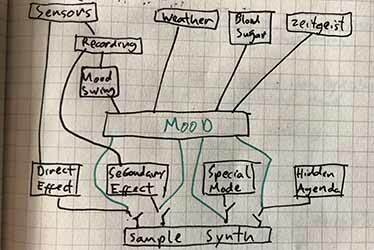 Reduced, single sounds, notes. Breath, keys, spatial sound objects. Suddenly the machine responds. Controlled by algorithms, inscribed rules and a life of its own as well as a chaotic blur, the machine interacts with the acoustic musician. While the piece is based on a defined composition, the set rules can be abandoned throughout the performance. SOLO DUO can sound very differently depending on the given composition – which defines four layers with regards to time, progression, selection of sound material and ways of playing, density and volume. 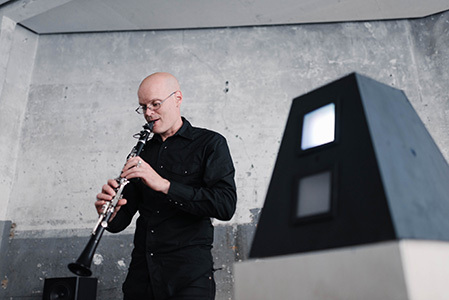 The above pictured beginning can evolve into a subtle interaction between the clarinet player and the computer, creating a playful and quiet interlacing for two voices, just to dissolve again into an object like minimalism. But is also can be a multi-part piece, driven by contrasts. Or develop slowly into a static drone. 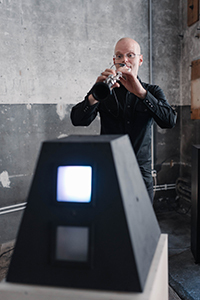 SOLO DUO can also explore the unexpected: The music robot has a fifth composition layer, which are its moods, an over complex inner life, as well as sound- and motion sensors, which might gradually or radically superimpose the given composition. 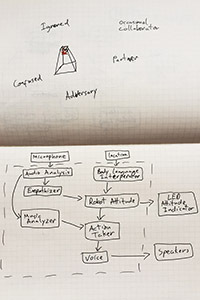 The robot is always aware of the composition, but tries new things anyway. SOLO DUO is, depending on the configuration, a piece, an instrument, an open concept. It circles around the blurred borders between a solo and a duo. 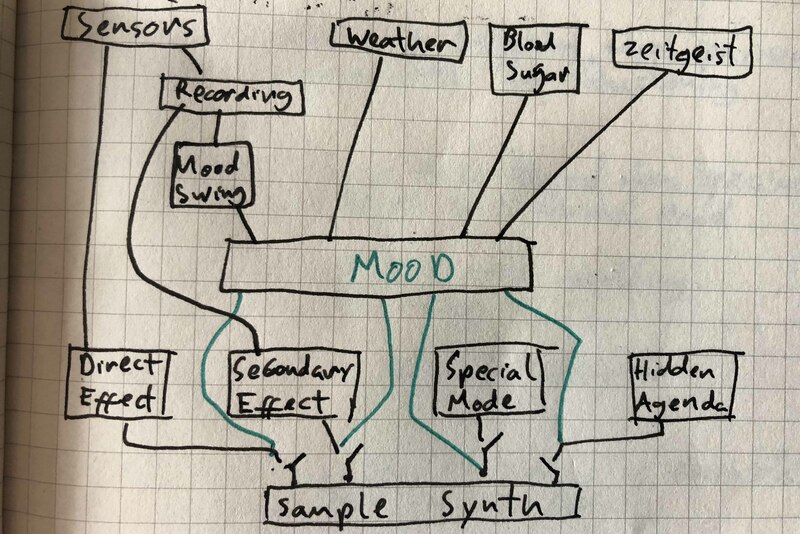 When ist the piece a composition for a clarinet player, an elaborate „tape piece“, and when does it cross the threshold to being a veritable duo?